About us | Techject Inc.
TechJect is the developer of the world’s newest and smallest flight computers for sensing, photography, videography, monitoring, navigation and other use cases in Robotics. TechJect’s expertise has been acquired through years of research and development into micro flight solutions for various reconnaissance objectives. 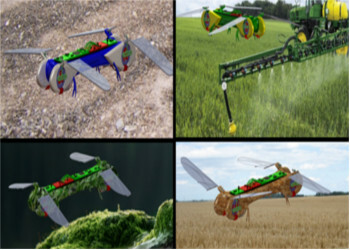 The pilot R&D program of the company, called the Robot Dragonfly, gained a lot of acclaim with it’s largest crowdfunding support and continues to date to improve the technology to bring it into the market in the near future; it’s being developed to be a lightweight robotic insect that collects and relays data while flying like a bird or hovering like an insect. 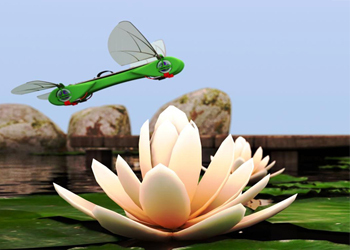 The initial Research efforts were funded by the US Air Force Office of Scientific Research to the tune of 1 Million Dollars, the robot insect has since been continuing to see improvements and miniaturization. 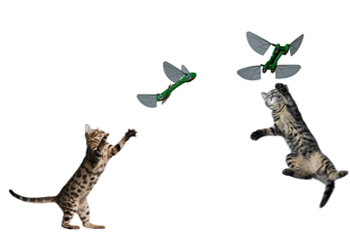 Among the many drones being developed by the company, the Dragonfly has over 5 technology patents to its design and has been presented in over 20 different conferences and exhibitions across the world. The team have won numerous awards, including the best design at Georgia Tech Research and Innovation Competition and 1st place at Robotics Innovation Competition in Massachusetts. TechJect’s Dragonfly has been showcased at various startup events and demonstrations, always taking top spot and being the biggest attraction.TechJect has been the Top Technology Campaign on Indiegogo in 2012 (www.indiegogo.com/robotdragonfly) and was rated as the top 6 technology startups in 2012. TechJect made the Hot 100 in the Entrepreneur Magazine, Nov 2013 edition.